Keeping on top of weeds slipping through the pre-emergence net can be tricky. We find out how one grower and his agronomist are tackling the issue. Growing good-quality potatoes has always been demanding, but thanks to product withdrawals and revocations the going is getting tougher. 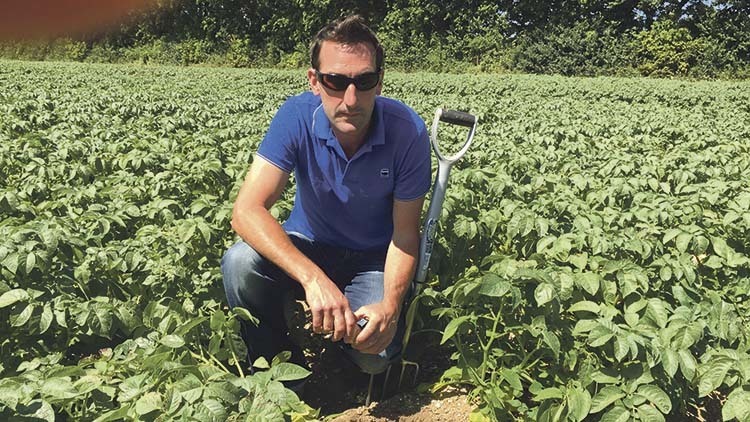 Broad-leaved weeds, including groundsel, cleavers and black-grass are just some of the weeds Hampshire-based potato grower Gavin Janaway, of Whitewater Potatoes, has to contend with. When it comes to broad-leaved weeds, pre-emergence herbicides normally provide the most effective control. 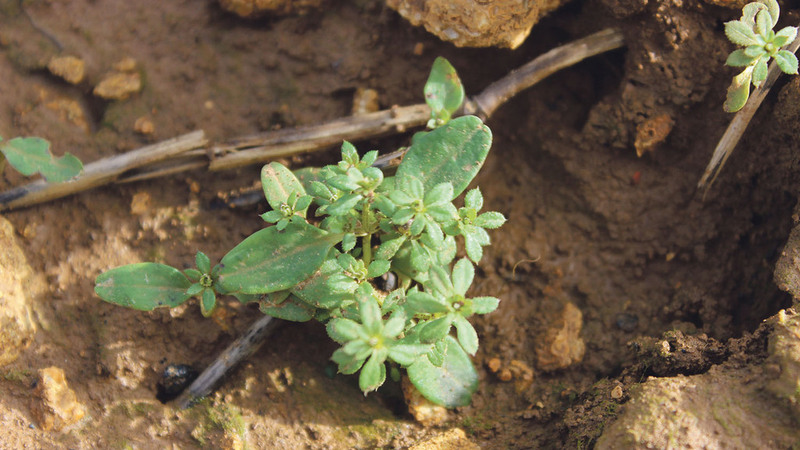 But this can be compromised, particularly when dry soil conditions prevail, needing the back-up of a contact herbicide applied post-emergence, says Mr Janaway’s agronomist, Andrew Stilwell of Bartholomews. And as some potato varieties are sensitive to some of the available actives, such as metribuzin, care is needed when making decisions on which herbicide to apply. Mr Stilwell says: “I like to ensure maximum efficiency of the products while maintaining crop safety, which means applying the pre-emergence herbicide seven to 10 days after planting on to settled ridges (before any crop or weed emergence) and returning later with a contact material to clear up if necessary. Belchim Crop Protection is sponsoring the crop protection seminar stream at CropTec. Simon Leak, marketing and development country manager for UK and Eire, says an important part of Belchim’s role is to work closely with growers and agronomists to provide effective agronomic solutions. “There are a number of key challenges facing farmers and their advisers right now. Black-grass and septoria resistance are two at the top of the pile. Add to that the impending impact of new EU legislation on active ingredient approvals as well as possible changes to subsidies and other support systems via Brexit and you have a potentially tough environment in which to make a living,” he says. “As a manufacturer we need to respond to these challenges and try to provide future proof solutions to current and impending problems. Using a post-emergence herbicide incorrectly can result in mottling, necrosis and even plant death, he warns. Damaging the canopy can shorten the growing season and in processing potatoes may even affect fry colour. This year, Mr Stilwell tried Gozai (pyraflufen-ethyl) for the first time, applying it at early emergence just as the ridges started to split and the crop peeped through. However, cultural controls remain key to gaining best results because chemistry definitely works best when used in conjunction with other methods, such as ploughing, adds Mr Stilwell. Both farmer and agronomist see Integrated Pest Management (IPM) as crucial to sustainability. Moreover, as a Leaf grower, Mr Janaway has been following such practices for more than 15 years; to improve pest control without increasing chemical usage, he has installed weather stations which help him to forecast when blight pressure is high, or when aphids are about to threaten the crop.